Posted on September 1, 2016 by revivewa	in News, Uniting Generations. A mandala is a spiritual symbol, in the shape of a circle. Creating a mandala can be a meditative process; a journey towards a work of art. With six kids participating, both from the church and the wider community, the day was full of craft, tasty food and reflection. This is the second time Margaret River Uniting Church has run a mandala workshop for kids, the first being in July 2015. Cathie opened the workshop with an introduction to mandalas, explaining that pizza can be a mandala. So the group made pizzas before getting stuck into creating their own craft mandalas using a range of materials such as paint, textas and paper. 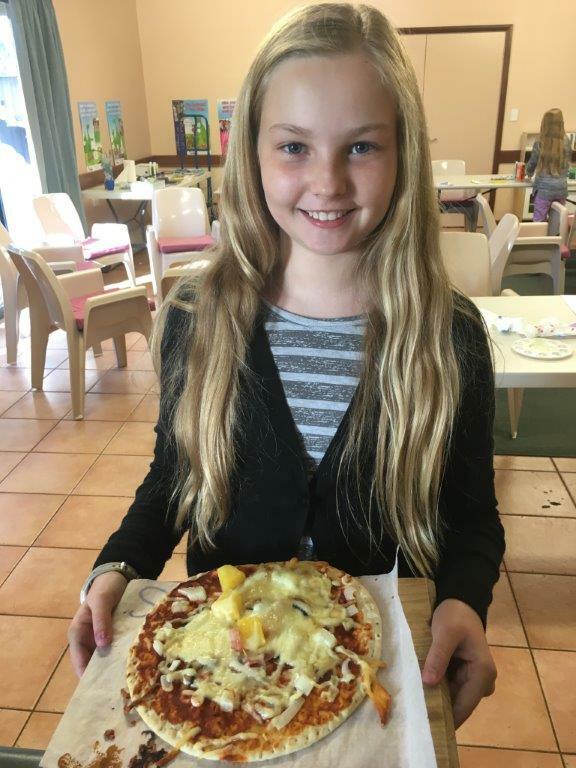 While they created, the pizzas were baked and enjoyed for lunch. Cathie said the participants all responded to their craft in unique ways. Sarah, aged ten, took part in the workshop and said that she enjoyed being free to use the materials to express herself without restrictions. Cathie said that creating mandalas is a great way for kids to have some much needed quiet time while still feeling active. Cathie is available to bring her Kids Mandala Workshop to other churches. If you are interested in holding a mandala workshop with kids in your community, email Cathie at cathielambert@hotmail.com.